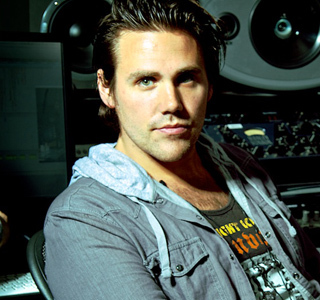 After establishing himself in the industry as a frontman for rock bands Dillusion and After Midnight Project, Jason Evigan is quickly becoming one of pop music’s most sought after songwriter/producers thanks to his work with a variety of A-list collaborators on sessions with Demi Lovato, Selena Gomez, Jason Derulo, Kat Graham, English girl pop group Sugababes, teen actress/singer Zendaya and recent X-Factor finalists Fifth Harmony, among others. Evigan. the son of veteran actor/singer Greg Evigan (B.J. and the Bear, My Two Dads) and Broadway dancer Pamela Serpe, has made his biggest breakthrough with Lovato, co-writing and co-producing “Heart Attack,” the Top 10 electro-pop single from her latest album Demi and its follow-up single “Made In The USA.” The success of “Heart Attack,” which is Lovato’s second highest charting single ever, sparked first week album sales over 110,000, leading to a #3 Top 200 debut. These two tracks are representative of Evigan’s extensive collaborative work. “Heart Attack” was co-produced with his frequent partner Mitch Allan (they are collectively known as The Suspex, and penned with Allan, Sean Douglas, Nikki Williams, Aaron Phillips and Lovato. Evigan co-wrote “Made In The USA” with Jonas Jeberg, Corey Chorus, Blair Perkins and Lovato. Beyond the singles, Evigan has two other tracks on Demi. “Never Been Hurt” is a co-write with recent Grammy nominee Ali Tamposi and the Miami-based production team The Monsters and the Strangerz, who produced the track with Evigan. “Two Pieces” was written by Evigan, Allan and Livvi Franc and produced by Evigan and Allan. “Forget Forever” and “Save the Day,” the two Evigan tracks that will be featured on Gomez’s upcoming album Stars Dance, are extensions of these creative relationships. “Save The Day” was written with Allan and Franc, while “Forget Forever” was done with The Monsters and the Strangerz. “Heart Attack” originated as a track Evigan and Allan wrote with singer Nikki Williams, whom they met through Katy Wolaver, creative exec at Arthouse Entertainment. 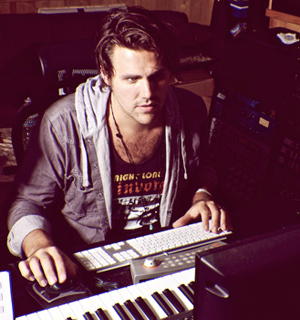 Williams was one of the first artists the duo had worked with and the original version they came up with had what Evigan calls a “crazy” dubstep bridge. Mio Vukovic, now Head of A&R at Hollywood Records/Disney Music, heard “Two Pieces” and thought it would be perfect for Lovato’s new album. They told him about “Heart Attack” and he wanted that one too. He brought Lovato in to hear it and she agreed it would be a good fit. Vukovic liked some of their other songs as well, so they ended up with four on the Demi album and two on the Gomez collection. Evigan credits Vukovic with opening the door to pop success for him and Allan. Of the constant flow of new and thriving studio partnerships, Evigan adds, “With every day and every session, you almost have to show multiple personalities, because one day you’re writing a song about heartbreak and the next it’s something upbeat and fun. Like all songwriters, I mostly pull inspiration from personal experiences I have had or scenarios I envision based on stories people have told me about their lives. I have been in bands for a long time where I was always working with the same group of guys, so for me it’s been exciting to work with new people all the time. I work a lot with Mitch but I love changing it up. While Evigan was attending his father’s studio sessions from the age of seven, he got serious about a future career in rock at 14 when he formed Dillusion, a melodic group influenced by the Deftones and Rage Against the Machine. Within two years, the band was selling out shows at various Hollywood venues, which attracted the attention of the Osbourne family. In 2000, Dillusion was signed to Epic Records and was featured in MTV’s hit show The Osbournes. Their hit single “Mirror Image” was featured on the gold-selling The Osbourne Family Album; studying Pro Tools and developing his production skills, Evigan co-produced and engineered Dillusion’s self-titled debut album. Shortly thereafter, he co-wrote the song “Perfect Day” (sung by Hoku) for the Legally Blonde soundtrack. Evigan launched his next endeavor, After Midnight Project, as a solo endeavor but it quickly evolved into a popular band whose 2009 debut album Let’s Build Something To Break was helmed by veteran rock producer John Feldmann (Plain White T’s, Panic! At The Disco, Papa Roach) and released on Universal Motown. They performed on the 2010 Warped Tour and toured the U.S. and overseas with numerous bands, including Chevelle, Red Jumpsuit Apparatus, Papa Roach and 30 Seconds to Mars. Between tours, Evigan began developing his skills writing & producing for other artists, delving into electronic pop with the band Wicker (with a vibe he calls “electro indie hop”) and electro hip-hop group Hyper Crush even before that vibe went mainstream with Lady Gaga. Evigan also worked with Steel Drum Corps, a percussive electronic band he says were like Nine Inch Nails meets Blue Man Group. After releasing the 8-song EP You Belong in 2011, After Midnight Project went on indefinite hiatus—and Evigan began working with Allan, who was a well known rock producer he had met when the band was on Universal Motown.